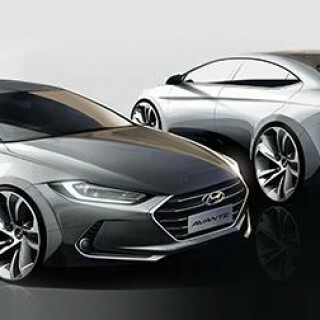 Hyundai is working hard to build its brand in the US, and has made a couple of major marketing moves in the summer. They took over from GM as the sponsor of the National Football League, and also hired former Subaru employee Dean Evans as their new CMO. In a recent interview Evans spoke about his move to Hyundai, and started out by talking about why he took the job in the first place. 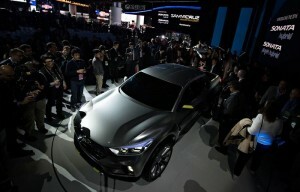 Evans said that he has been friendly with Hyundai Motor America CEO Dave Zuchowski for a while, and was impressed by the moves that Hyundai were taking to build their brand. When asked what Hyundai represented to him, Evans said that it was obvious that their warranty and value proposition were the big selling points of their vehicles, but he also said that he felt the Hyundai brand was in a position to be a whole lot more. When asked what he thought Hyundai should stand for, he said that the focus should be on making the brand something that everyone loves. He believes that marketing can play their role, but that retailers also have to get in on the action. Evans said that he hit the ground running when he joined the company back in August. He started out by getting to know as many people as possible, as well as evaluating all the data to get a handle on the opinions that are currently out there about the Hyundai brand. One of the most difficult questions that Evans had to answer was about whether or not Hyundai should be making a move to become Americanized in order to sell more units. Evans doesn’t believe that it’s necessary, as he feels that people either choose domestic or import brand, and that those who stick close to home are getting tired of the same brand that has been in the family forever. Those consumers are now looking for an import brand, and what something that feels new and innovative, which is exactly where Hyundai fits in. Evans is excited about getting to work with Innocean, the advertising agency of choice for Hyundai. They just hired a new CEO in Steven Jun, as well as a new managing director in Tim Blett. Evans is particularly excited about working with Blett, as their meetings have shown that he and Innocean are very much on the same page as Hyundai in how they would like to market the brand. Evans ended the interview by talking about what he believed the role of a chief marketing officer to be.